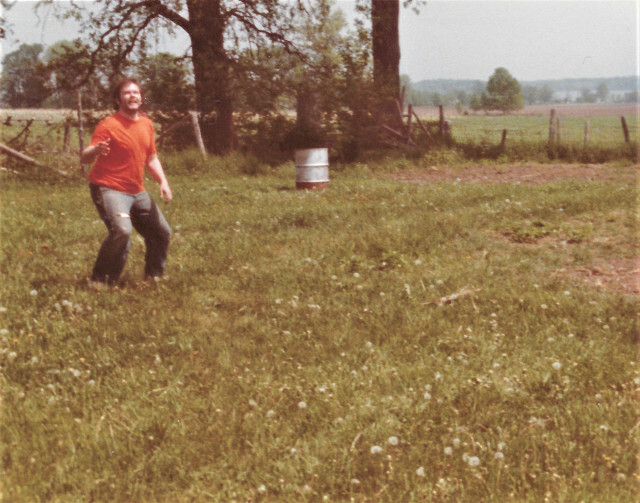 This is a picture of my brother-in-law playing Frisbee with his young nephew (out of picture) in my wife’s family backyard. The two trees with the overgrown bushes between them are the Treadwell family graves. In the upper right hand part of the picture you can see part of Lake Champlain. That is Treadwell Bay. My wife and I use to walk through her grandfather’s pastures to swim and picnic there when we were dating.